タクティカル プロダクツ グループのBlackhawk! プロダクツ グループのNIGHT-OPSから出ていた3V CR123A x2本使用の6V Gladius ( グラディウス ) Tactical LED Flashlight ( グラディウス イルミネーション ツール )が2009年リニューアルチェンジ!! 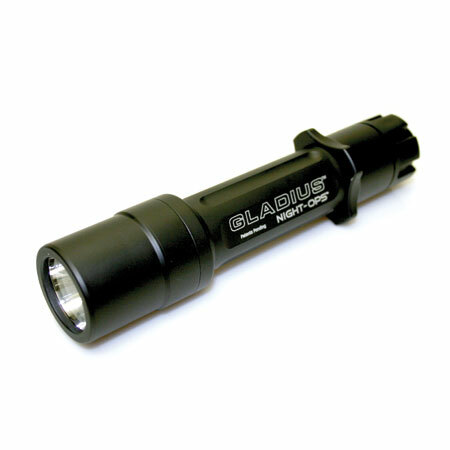 The GLADIUS MAXIMIS is quite possibly the most innovative handheld tactical illumination tool to arrive on the scene. 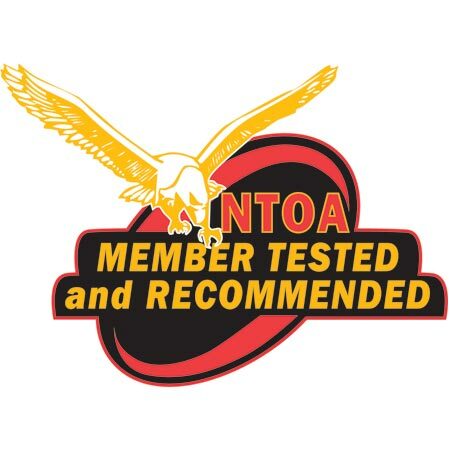 This is a 6 volt, lithium battery powered, high-output LED, highly water resistant, aluminum bodied, illumination tool designed primarily for handheld use, but robust enough for weapon mounted applications. 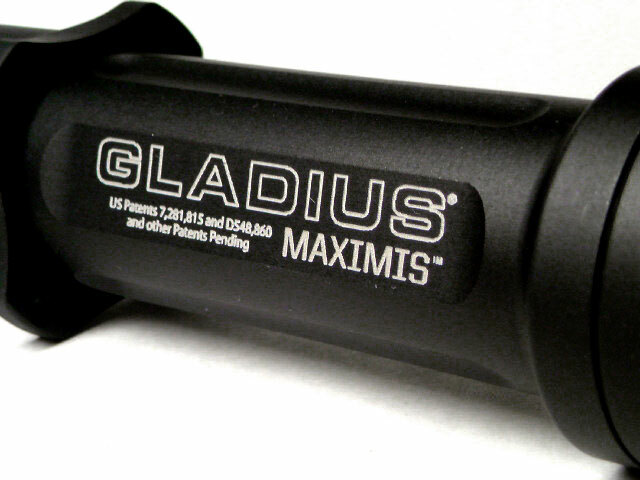 The Gladius Maximis™ is designed from the ground up to be immersed into the realities of close quarter conflict and should significantly enhance the capabilities of those operating in low light environments. 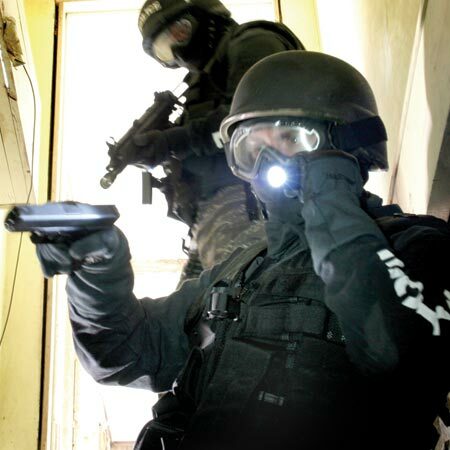 The body design allows for a variety of handgun flashlight technical applications. 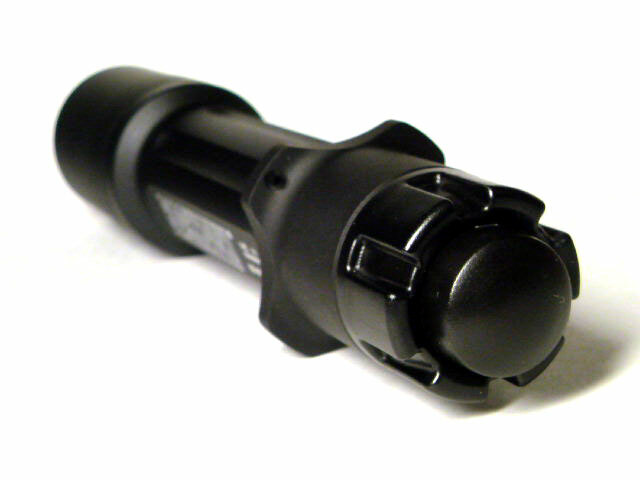 It features an excellent center of gravity and the end user will appreciate the well-placed anti-roll/retention flares. 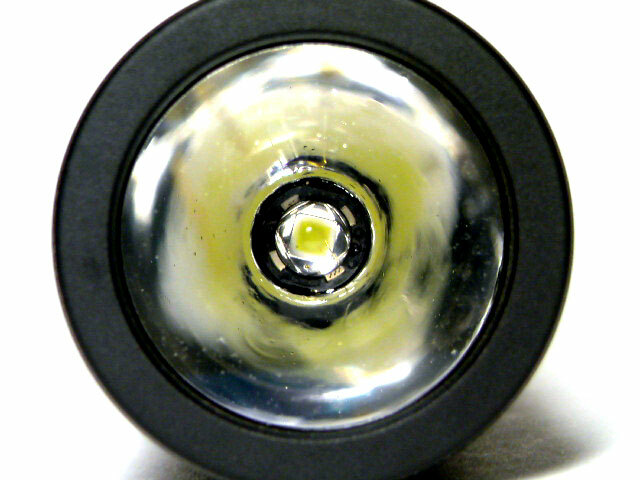 This light will not slip in your hand during stressful situations; it just feels right. At the heart of this fighting tool is a robust electronics package that can only be described as REVOLUTIONARY. 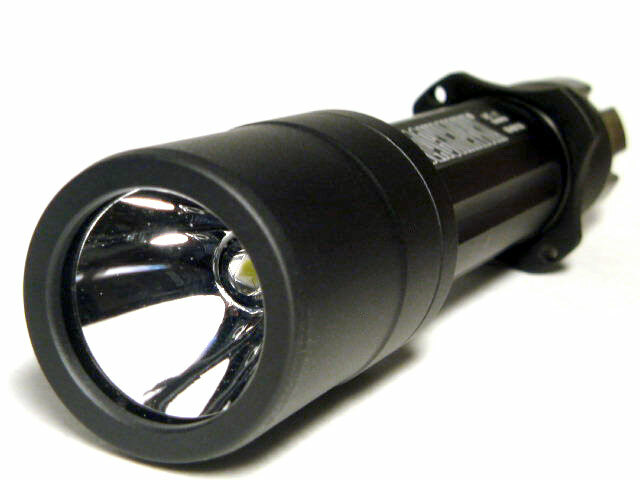 The light features a patent pending multifunction tailcap that allows the operator to quickly select various modes including: Momentary Switching, Constant ON, Strobe Mode, Dimming, and Lock-Out all with intuitive, user friendly, one-finger operation. The switching is separated into two components. 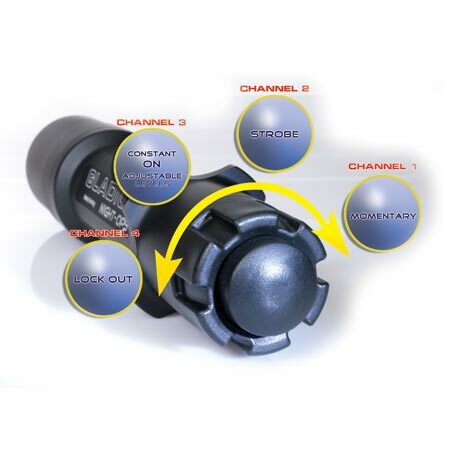 A familiar thumb activated push-button tailcap and our new proprietary patented rotary dial, also thumb activated. The Night-Ops™ Gladius Maximis™ will provide our modern warriors with a readily Available, high-end illumination option to tip the scale of conflict in their favor. Length (Bezel to Tailcap): 6.23"